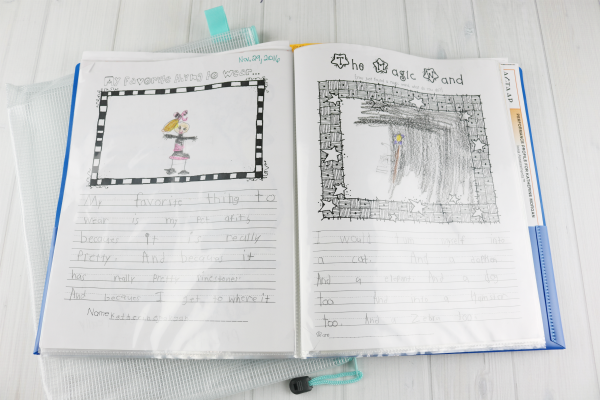 The following is a guest post about her school memory storage boxes from regular contributor, Kristin at The Gold Project. Back to school is in full swing for most of us, which means school papers are coming home almost every day. Or, it seems like every day to me. I have two children. My daughter is in 4th grade and my son is in kindergarten. 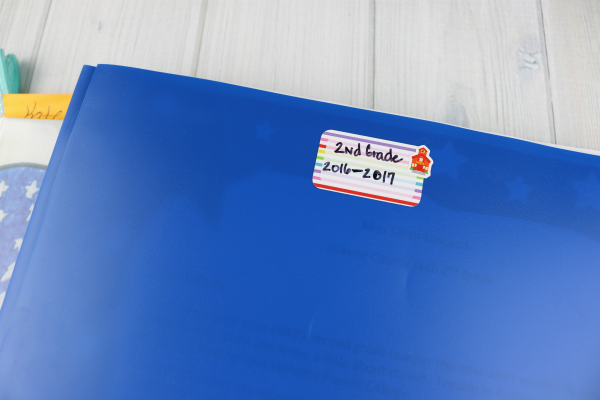 When both of them started preschool, I decided to come up with a system for their important school documents. It took several attempts until I found the one that worked for my household. 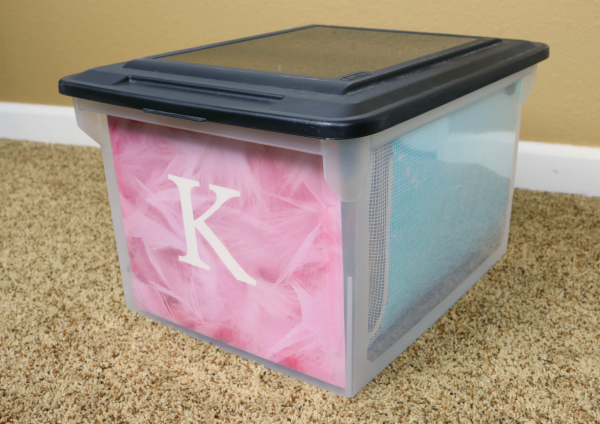 Each one of my kids has their own plastic file box that I placed scrapbook paper inside the front with their initial to identify the box. Inside of each box, I have the zippered vinyl and mesh pouches from The Container Store for every year they are in school. The pouches come in two colors, aqua and black. I purchased the aqua for my daughter and the black for my son. I went ahead and ordered pouches for every year they are in school. Using a label maker, I made labels with the grade and school year that I placed on the outside of each pouch. Inside of each pouch, I have their yearbook and a plastic folder that contains all of the memories I have collected throughout the year. This is something I do the entire year. Their folders sit in my mail station all year long. As they get important or special papers, I slide them inside of sleeve protectors located inside of the folder. 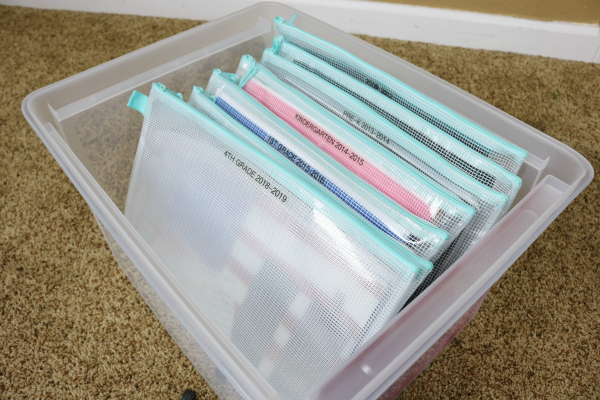 So, by the end of the year, all I have to do is place the folder in the vinyl pouch. 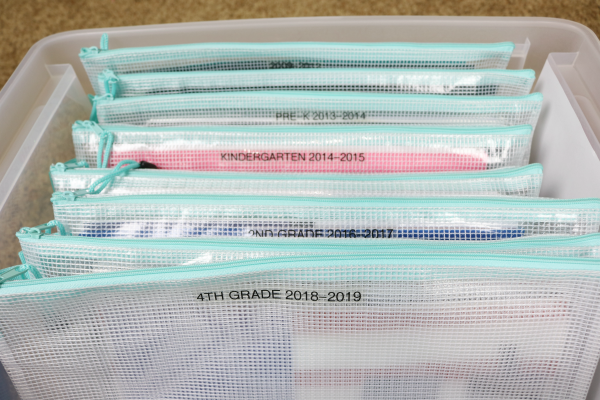 This system has truly made a huge difference in how I store and keep my kids’ school memories. My daughter loves to pull out her box and look through each one of her pouches. And, the best part is that she can do that without getting anything out of place. She will just slide her folder out, flip through the pages, and put it back right where she got it. 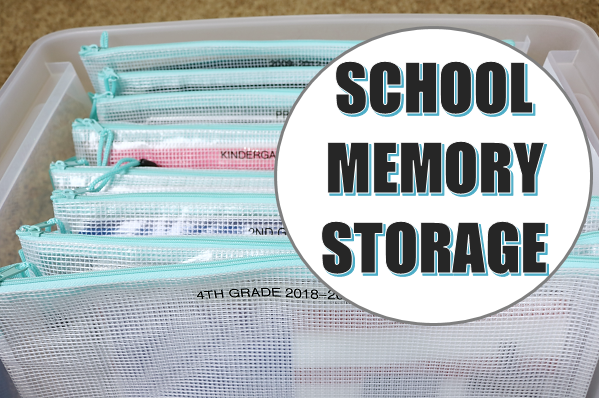 How do you store your kids’ school memories? How big are your zippered pouches? Are they the letter or legal size from container store? 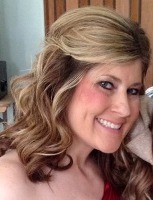 I had 3 kids to “save” for. I used paper grocery bags. They’re easy to write on and store. When I gave them to them they were not impressed. Oh well, the “school memory bags” are theirs now! I hope they appreciate my organizing skills. I absolutely love your storage idea! 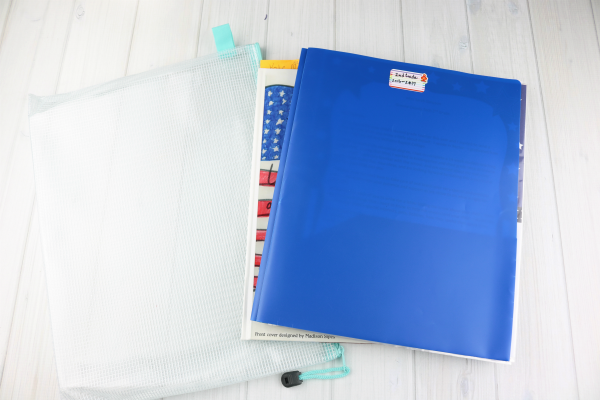 The folders and sheet protectors are awesome! What do you do with extra large artwork? I was wondering the same thing. Do they find in the letter size pouch? If it is something that can be cut down, I will trim it to fit the sheet protectors. If not, then I just fold the artwork and place it in the pouch.